A natural gas pipeline owned by Enbridge exploded in Noble County, Ohio at approximately 10:40 a.m. on Monday. At least two people were reportedly injured and two homes are believed to have been damaged in the incident. Allen Young and his family are surrounded. They can see three sizable natural gas plants–operated by Dominion and Energy Transfer Partners–without taking a step off their property. Over the past three years, these facilities have taken over the boomerang-shaped ridge less than a half-mile from the Young's home in Powhatan Point, Ohio. Environmental activists, science educators and the Athens Ohio City Council are teaming up against a controversial new proposal by the Ohio Department of Natural Resources Division of Wildlife (ODNRDOW) to open a bobcat trapping season in the southeastern part of the state, The New Political reported Wednesday. After months of conflict, the state of Ohio officially filed suit against Energy Transfer Partners Friday for pollution caused by its Rover Pipeline. Rover has racked more "noncompliance incidents" than any other interstate gas pipeline and leaked more than two million gallons of drilling mud into protected Ohio wetlands this spring, leading the Federal Energy Regulatory Commission to order a temporary halt to construction. Last week I predicted it wouldn't be long before we had more news on Fortune 500 wind power purchases. Well, a whole seven days passed before there were new deals to report. The Ohio Environmental Protection Agency (EPA) asked the state attorney general's office Wednesday to hold the owners of the troubled Rover natural gas pipeline responsible for $2.3 million dollars in fines. 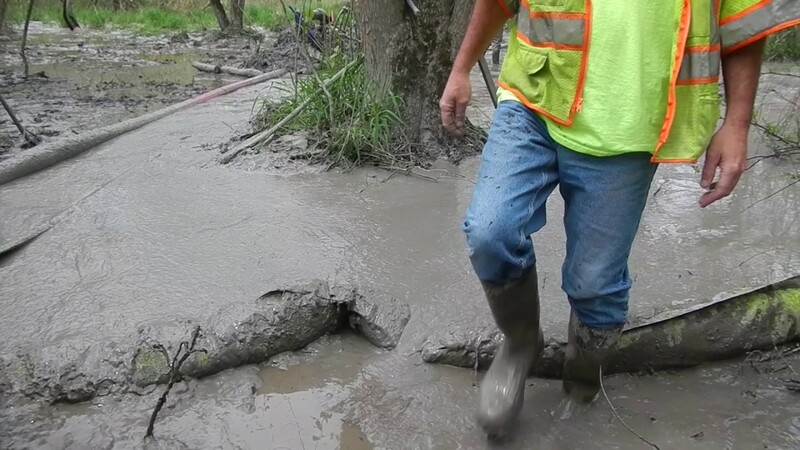 Rover leaked more than 2 million gallons of drilling mud into protected Ohio wetlands this spring, leading the Federal Energy Regulatory Commission to order a halt to construction.